In the last few years, Israeli wines have become a global phenomenon, gaining attention for their superb quality and extraordinary flavor. But did you know that 1,500 years ago the “Wine of the Negev” was also world-renowned and highly sought after? 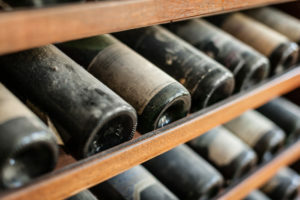 The “Wine of the Negev” (named after Israel’s Negev desert, where it was grown), also called “Gaza Wine” (named for the seaport it was exported from), was not only highly prized, but also a very costly and exceptionally fine wine throughout the entire Byzantine Empire (330-1453 CE). The ancient grape seeds were found on the outskirts of Halutza’s refuse dump. 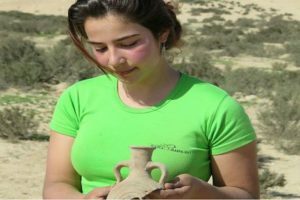 Researchers discovered high concentrations of pottery fragments and vessels used for storage, cooking and serving, along with a significant number of Gaza wine jugs used for storing the ancient “Wine of the Negev.” This is where the seeds were found. 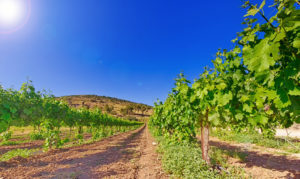 During past excavations in the Negev Desert, archaeologists uncovered terraces where grapevines were cultivated, wineries where the wine was produced, and jugs in which the wine was stored—but never before had actual grape seeds been recovered until this recent discovery. The seeds themselves appear to be of a variety of grape that has not survived into the present. Researchers now hope to begin a study of the seeds’ DNA to determine their origin. 1,500 years ago, European grape varieties could not survive the harsh desert climate, because they required greater amounts of water than our modern, highly engineered varieties do. This makes the discovery of these seeds an important and rare find for the future of this wine-growing region. Who knows! Maybe the world-renowned “Wine of the Negev” will once again be a fine and highly sought after wine! My Olive Tree is already in the process of planting vineyards in the Negev Desert! 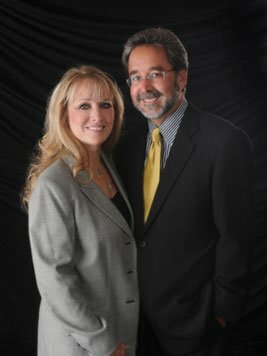 See how you can personally get involved in giving the beautiful gift of a vineyard to the nation of Israel TODAY!